The cutest, funnest, hippest cooking class in Paris is not easy to get into. Not easy at all. Which runs directly contrary to the vibe once you’re in. Amongst a citizenry that takes its food seriously (UNESCO! cultural heritage designation!) 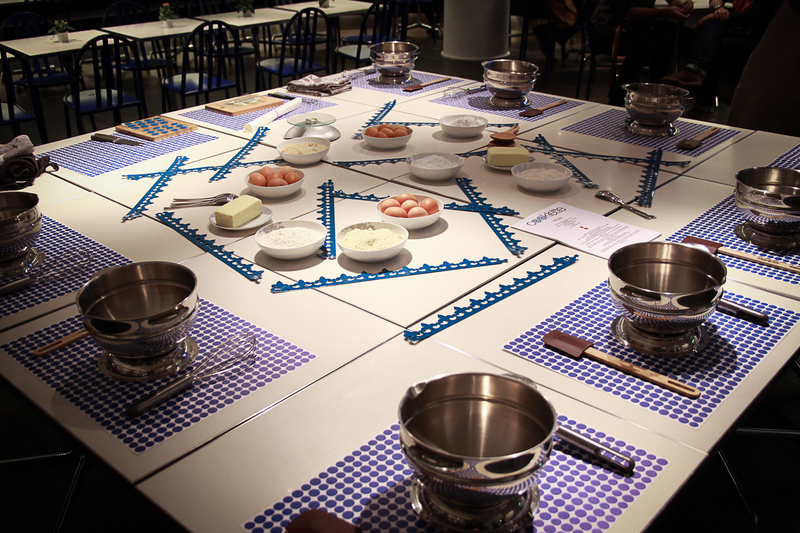 cooking classes among youngfolk have become the thing to do. It’s almost replaced hanging out at cafes and smoking cigarettes all afternoon discussing the tortures of romantic love as the thing to do when you’re young, single (or in a couple) and looking for some social activity. Well, scratch that. It has replaced it. There are increasingly more chef “ateliers” springing up and those that have always been around and are now being rediscovered. What the French have found is that a cooking class is 1) Fun 2) a great ice-breaker 3) a level playing field 4) a learning experience and 5) a great way to enjoy a meal or a dessert. 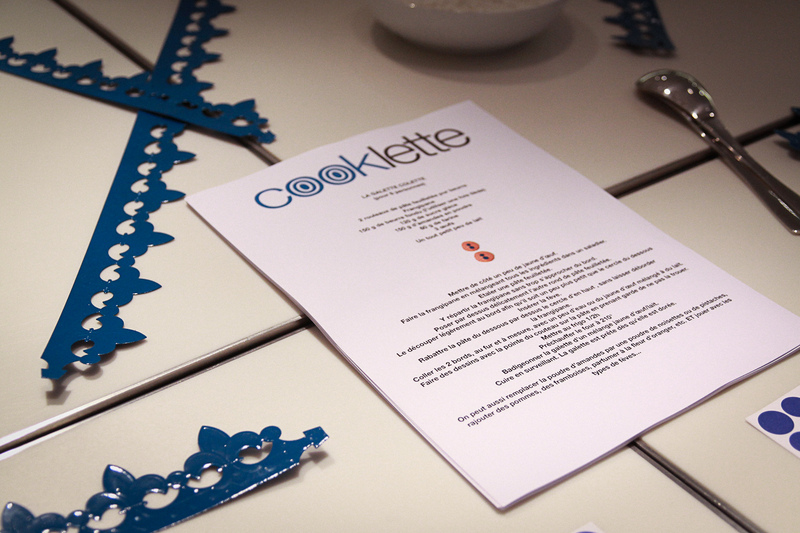 The Super Hip “concept” store, Colette, which is located at 213 rue St. Honoré is the location for Cooklette. The store has such a following that the cutest boys in Paris hang outside of it 5 minutes after closing pleading with the bouncer/doorman to let them in for just another 10 minutes so they can find a last-minute gift for their girlfriends. The 7 ft. tall bouncers invariably say, “No.” Explanation is that it happens every day. But that’s what Colette has become: The trendy Parisian club of concept stores. Downstairs, in the Water Bar, on the first Friday evening each month, they stage “Cooklette” which is their free cooking class. How do you get in? You have to be one of the first twelve to sign up on their website as soon as they announce the date in their newsletter. 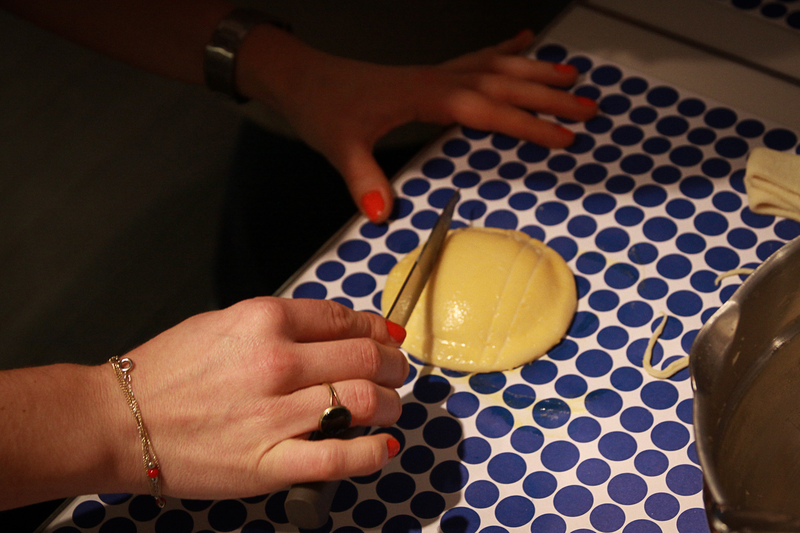 January’s class was devoted to making Galette des Rois. 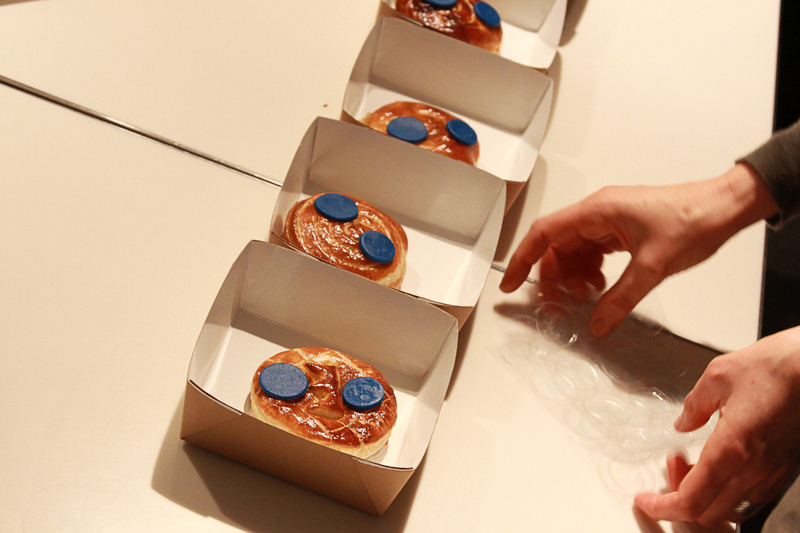 These are the flat round tarts filled with almond paste that the French eat for the New Year. Custom has it that the cake must be cut into as many parts as there are people present, plus one. 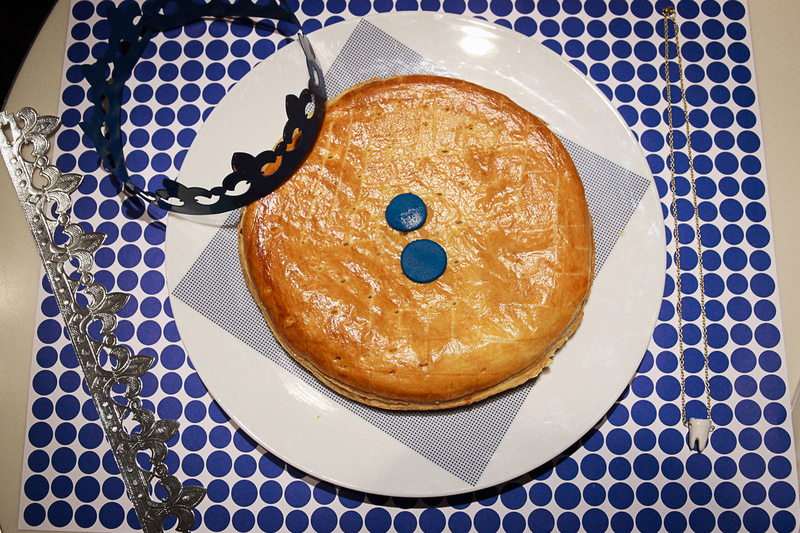 It is also always baked with a tiny feve which is a small porcelain figurine or button that designates the recipient the “King” or “Queen” for a day. Another custom, which Cooklette faithfully practiced, is that the youngest in the group sits under the table and chooses who gets the pieces of cake and when. This is so that the person who cooked the cake can’t choose who gets the feve. Égalité, Fraternité, Degousté! 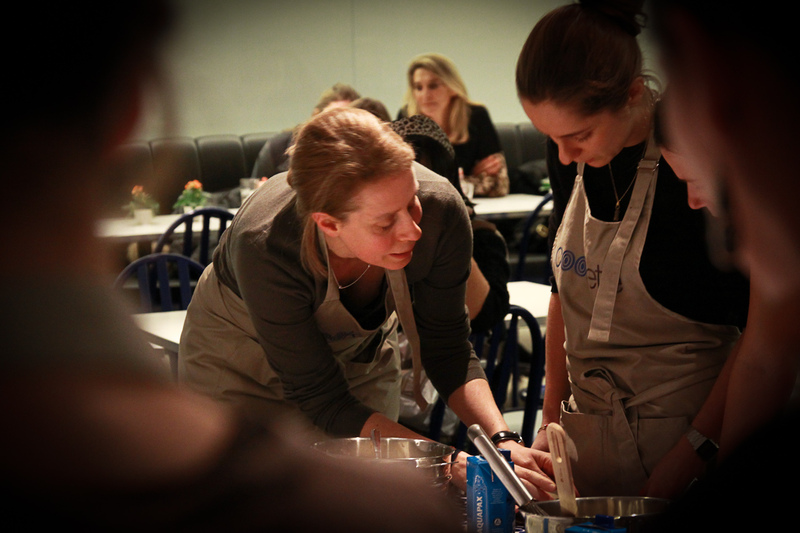 The La Galette Colette class was taught by Catherine Kluger who is famous among Parisian gourmands for her Tartes. Her Tartes Kluger are at 6 rue du Forez in the 3rd. She does sweet and savory tartes: Zuchini, Tomato, Mozzarella; Ham, Parmesan, a touch of Bechamel with some Bacon Crispies on top. Sweet tartes include: Tarte au Cafe’ with grains of coffee and chocolate; Tarte a La Mousse au Chocolat Noire; Rhubarb and Milky Rice. A very self-effacing chef, Catherine approached the class as if she were teaching a group of friends in her own kitchen. She used her own recipe which rendered a simple but flavorful frangipane galette that was moist, flavorful and flaky. To my left was Stephane Bureaux, the author of Design Culinaire, a book full of fantastic photos and food ideas. Colette sells the book and still has a few copies left. You can’t miss it: It has a carrot and a fork on its cover. 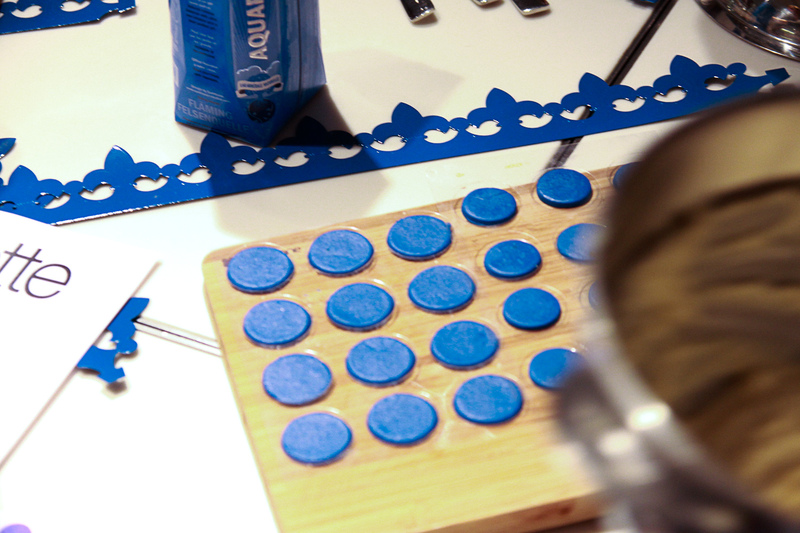 As far as culinary concepts go, Design Culinaire is to food what haute couture is to fashion. To my right were a couple of young ladies who had, after three attempts, finally gotten lucky enough to get the reservation for the course. According to Sidali, they don’t take reservations months in advance, just the first ones to sign up that month get to come. It attracts the most passionate foodistas: The girls were raving about their intended brunch that Sunday at Chloe S.
Our advice: Subscribe to the Colette Newsletter; Sign up for Cooklette the second it’s announced; Get Ready for some Culinary Fun ‘cuz it’s a nice cooking class if you can get it.